The filmmakers had earlier announced that the release of 'PM Narendra Modi' has been deferred "until further notice". The movie was initially expected to be released on April 5. 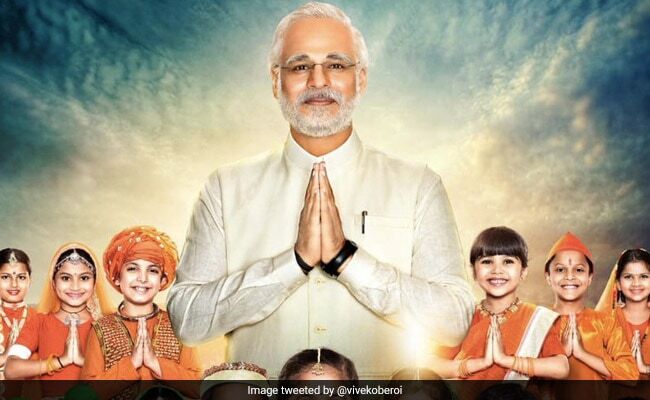 The makers of the film 'PM Narendra Modi' may have postponed its release indefinitely amid allegations of poll norm violations, but the controversy hasn't been put to bed yet. According to news agency PTI, the Election Commission will deliver its final decision on the release date of the controversial biopic tomorrow. A few hours ago, film director Omung Kumar had spoken of the film's postponement in a cryptic post. "Suspense!" he tweeted. "The film isn't releasing tomorrow, not on 5th April. But it'll be done soon, you'll get to know. We don't want to tell you the date now. Opposition had come forward, tried things. It's late but we know what date to release it on." 'PM Narendra Modi' has come under a cloud, with opposition parties alleging that its release was originally planned for April 5 with the intention of influencing voters in the run-up to the Lok Sabha elections. Earlier today, the Supreme Court had fixed April 8 as the next date for hearing a Congress leader's petition against the movie launch at this crucial time. Even actor Vivek Oberoi, who played PM Modi in the film, had to appear before the Election Commission in connection with a complaint filed by the Congress. He, however, remained defiant in his defence of the filmmakers' right to release the movie on a date of their choosing. "Everyone has a constitutional right to make a film they believe in, to release it when they choose to release it, and the viewers have a right to watch it, consume it, enjoy it. Does somebody ask an actor why they release their films on Eid or Christmas or Diwali?" the 42-year-old actor mused in an interview with NDTV. He also ridiculed Rahul Gandhi, saying that the Congress president can become the subject of a movie only if he does anything "noteworthy". Mr Oberoi went on to quip that if he was to ever portray Mr Gandhi in a film, he would "have to shoot most of it in Thailand". The Congress, for its part, termed 'PM Narendra Modi' as "the bogus film of a flop hero made on a flop person who has proved to be a zero".